New Utility Ground cover from Japan. 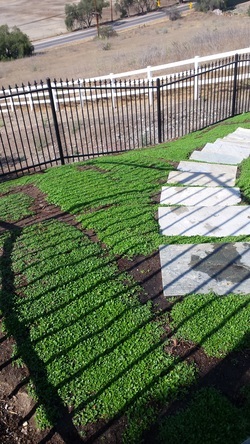 A Sterile growing utility ground cover whose root system helps prevent soil erosion. Once established, Kurapia roots may go as far as 5 to 10 feet below the soil surface when properly irrigated. It's unique horizontal growth habits makes it an ideal choice to fill in desired planting areas quickly and efficiently. An added bonus, is Kurapia's ability to produce beautiful small white blooms May through November here in California and you can plant pretty much any season. Best of all Kurapia's drought tolerant characteristics make it a great choice for low water use alternative to some grasses and other forms of low water use landscaping.
" 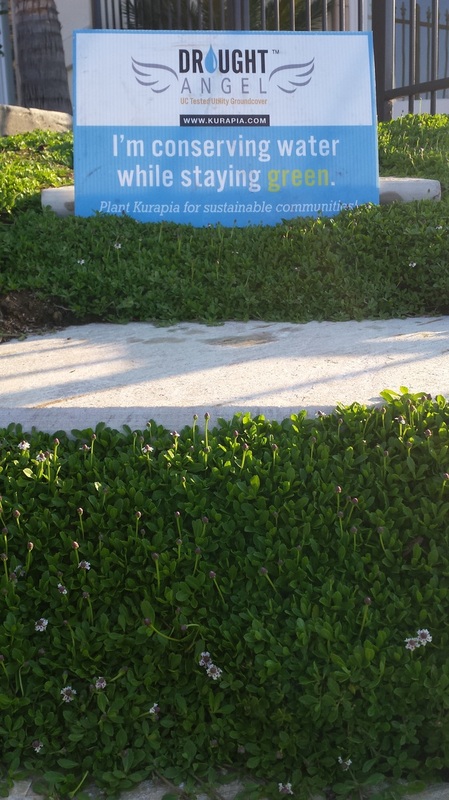 UP TO 60% LESS WATER USE "
Kurapia is very adaptable to various environmental conditions such as sun and shade, low & high PH soils, soils containing high salts,and light -moderate foot traffic.No mowing is required but, if you choose to you can mow to 1-2 times per month if so desired. CytoGro liquid hormone biostimulant is our latest addition to our landscape management team. 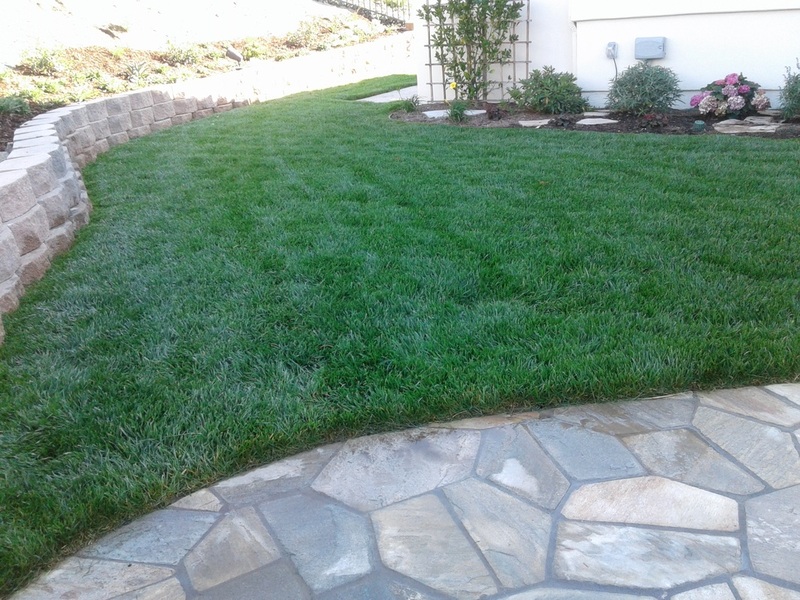 Newly registered here in California but used for many years back east and in the south east on golf greens,fairways,football and soccer fields,parks and landscaped roadways, it is a welcomed addition to the Midwest Landscaping team. The benefits of using CytoGro include deeper denser root system on all treated plants,increased survivability of transplants,seedlings and sod, rapid uptake of nutrients and correction of nutrient deficiencies-increases fertilizer efficiency,helps plants withstand stress from harsh environments,extreme temperatures drought,insect damage,high salinity and foot traffic. CytoGro enhances plant growth by developing a deeper,denser root system, CytoGro helps plants withstand stress from harsh environments, temperature extremes,drought and produces a rapid repair and recovery of damaged turf.